Would you recommend using Hotels.com to book a hotel room? Why or why not? Never. Call the hotel directly and you can get a better deal. 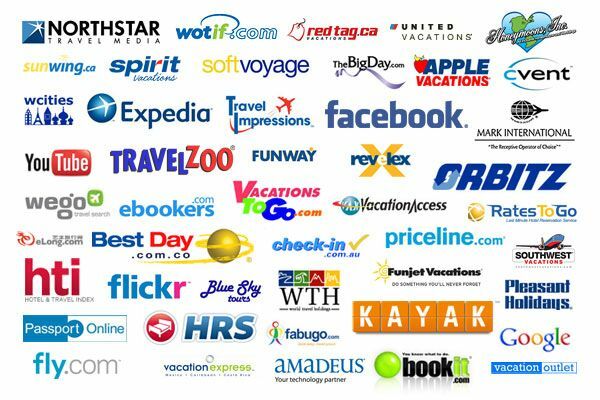 Online travel agencies charge a commission of 20–25% of the amount you pay. So if you call me, I’d give you a better rate, and still come out better than the net payable to the hotel if you were to call them. Or call any hotel and do the same trick. AAA and AARP are not ‘publicly available rates’, and while you should be a member, many hotels don’t question it if you ask for them. That gets you ten percent off what you’d pay on most OTA sites, unless they’re handing out deep discounts like candy. If the hotel agreed to one of those, they deserve exactly what they get. Why is tourism in Antarctica so expensive? Why don't they expand the tourist industry and decrease the prices? Find me enough people who want to travel there and spend a few days to keep a 60-to-80 room hotel about 60 to 80% full on a daily basis at $1000–1500 per night (there'd be a lot of logistical factors to think about including snow removal, heat and electricity; none of which will be as attainable or as easy as it would be in a less desolate place with at least some infrastructure; before we even go there about vastly increased construction costs, so I'm not confident we could get the rates down even that low. . .); and perhaps we'll give a little more thought to putting a hotel there. Until then, we're not making any big plans to go there for the same reason we don't want to build a hotel in Hell, or in some ISIS-controlled area of Syria, or in some small warlord-controlled town in Somalia or drug cartel-controlled village in Honduras, or in the middle of the Sahara Desert . . . because nobody wants to go there and there's no market for it. Accordingly, anyone who does have a reason to go down there and spend a few days has to be able to bear the entire cost of what is required for them to stay (or survive) there . . . Being a skilled writer, what is the best approach to solicit free stays at the finest bed and breakfasts or resorts in exchange for a detailed and thorough 5-star review of said places? You're on your own with this one: work it out however you can work it out, with whatever B&B owner. It may sound like I'm being unhelpful (depending upon what you had in mind, maybe I am — frankly, I’m a little skeptical of your intentions), but I'll help you with this much: hotels get no end of requests such as this (involving either cash payment or comp rooms) from both vendors and from people who think they can provide some 'service' to the hotel having “public relations” value that would have people flocking to us. A hotel manager might probably view even a potentially workable scheme skeptically and with some cynicism. One of the most annoying things about the “hospitality industry” for people working in it is that everyone has an idea that’ll make a million bucks — so long as it’s someone else’s million bucks. As a matter of policy, we don’t publish our fax numbers, and give them out at all only very selectively; because every month, a tree dies to make enough paper to print out the junk advertising faxes that show up (cheap linens and terry, used furniture, directory listings in hotel directories that no one’s ever heard of, used furniture, secret 5-star review formulae, Nigerian fraud schemes, etc.) at hotels that do. I’ve been able to put up with having the same e-mail address for the last ten years only because I use anti-spam and Gmail filters religiously. And it’s hard for me to be polite to salespeople who call me two or three times a month at random times (usually interrupting something I’m doing) just to “touch base”. What is the possibility that the hotel security guard, hotel management, police officers, and SWAT team members were all telling the truth, yet there is such a dispute in timeline? Not surprising at all. Ask any lawyer in a situation where a car accident occurs on a crowded street, and there aren't but two witnesses who actually saw it and can be contacted and questioned. Odds are, one's going to swear the light was red and the other's going to swear the light was green, each will be as honest as the day is long and speaking in absolutely good faith, each will be describing it exactly as he or she remembers it, and that's about size of it. It's just the way of the world. Only one thing can be the truth, yet each witness is being absolutely truthful -- about his or her recollection of it, not necessarily what actually happened. In the Las Vegas shooting, you had the shooter (who's not saying too much or answering questions right now), a couple of security guards, one or two maintenance guys, some Las Vegas cops, each member of an an entire SWAT team, hotel management, and the front desk staff involved. Each of them will have a unique individual perspective, they will each remember things differently. Each will have been, at the time, observing from a different vantage point in the hotel: some on the 32nd floor, some in the lobby. The only way we could know as close to the whole truth as is relevant is if somebody had been standing right next to the shooter at the time he started shooting, and lived to tell the tale. But it didn't work out that way, and this investigation is going to be relying very heavily on security video, and reconciling the various individual perspectives and versions of the story. Does Expedia match booking.com commission rates for when you guest pays at hotel? Booking.com charges a flat 20% commission. Expedia is slightly higher, closer to 24 or 25%, and that varies by property. I think chains negotiate it in a lot of cases. I don't suspect any collusion between the two, or attempt by either of them to get or keep their commission rates in any way in alignment with those of the other. I've heard of the existence of some GDS channels who in negotiating with a hotel, will tell them, we want, say, $2,000 in commissions per year guaranteed, and paid to us up front before we even list your property. I've never had one try it with me, but the first time it happens, I'm going to tell somebody to pound sand. I ran a used bookstore and coffee shop years ago, dealt one time with a wholesale vendor that demanded 'minimum orders', quickly discovered Costco; and concluded that only a real wuss, an enabler, a codependent, a cherry having less than reasonable adult human resolve who's probably in at least one other abusive relationship, would even talk to such vendors rather than just hang up on them. Hotwire operates on a different model altogether that isn't commission-based. They're more like a reseller. You make a certain number of rooms on each night, of various types, available to them at a lowball set price, and they resell them for whatever they can get -- which is usually at a markup -- then turn around and pay you the agreed-upon price as they pass the reservations along to you and the guests show up to check in. Online travel agencies have been in existence as long as they have, are as lucrative to their stockholders as they are, and get away with what they do in terms of exorbitant commissions; because they discovered revenue management some time before the hotels themselves did. We were attached for far and away too long to assigning a 'shelf price' to our rooms, and too inflexibly sticking to it except for corporate and group rates negotiated by the individual hotel.